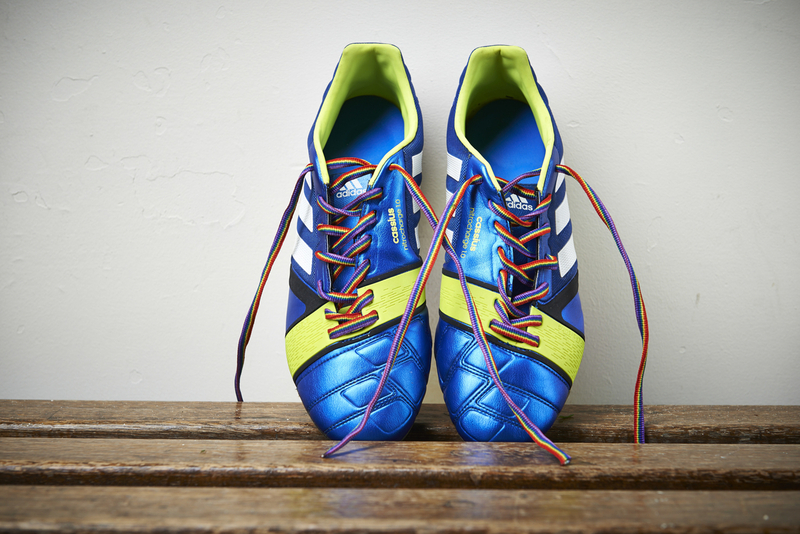 We know there is still work to do to make sport truly inclusive for LGBT people. But however well intentioned, stunts like Paddy Power’s empty bus for Brighton Pride this weekend, and the endless stream of tabloid stories speculating about footballers’ sexual orientation needs to stop. Not only are they unhelpful and potentially dangerous, they can spark a frenzy of people trying to guess what players might be lesbian, gay, bi or trans. This is not how we create an environment where athletes feel comfortable being open about who they are. Coming out must always be a personal decision. It can be difficult, takes courage and is not necessarily a one-off event. No one should feel pressured to come out. Speculating over why people don’t come out ignores the many valid reasons someone may have for not being open about their sexuality. Focusing on the absence of openly LGBT players often only adds more pressure to what is already a high-stress environment in elite sport. Any athlete at the top of their game knows just how much effort and sacrifice it can take to get and stay there. The added burden of being pressured to come out is not just damaging for the individual, but also their support network and sports itself. Many of these elite athletes also just want to be remembered for what they accomplished on the field. Of course having visible LGBT role models can have a hugely positive impact on sport and wider society. But we need to understand and respect why not everyone can be out. We do not live in a world that is accepting of everyone’s sexual orientation or gender identity. Footballers coming out can’t be taken as a sign of success or progress in isolation. This is only one part of a wider cultural shift. And this can’t just be about football – homophobia, biphobia and transphobia exist in all sports, and we need leaders in each sport to step up and change the culture. It’s everyone’s responsibility to make sport more inclusive – including companies and the media. That’s why our Rainbow Laces campaign focuses on getting allies to come out in support of LGBT equality across many sports. For a positive shift to happen it’s vital that allies come out in support of LGBT rights and make sport a more comfortable and accepting environment for all lesbian, gay, bi and trans people. Being a good ally means actively supporting, championing and promoting an inclusive culture for all LGBT people. It’s also understanding why speculation is so toxic and irresponsible. The more support there is, the easier it will become for athletes to be open about their sexuality, if they choose to. We are slowly seeing a shift happen – for example there are openly lesbian professional female footballers who are inspiring role models for inclusion in sport. The Premier League have stepped up and demonstrated how committed they are to building LGBT-inclusive sporting environments. We’re working closely with them on a three-year partnership to ensure everyone can enjoy sport and to create spaces where players, coaches, fans and staff are accepted without exception. We will always stand with and support all LGBT people, whether they are out or not. No LGBT athlete or person should live in fear that someone might out them before they are ready. Only that person will know if they are comfortable and ready to come out. That choice and decision must always be respected.